UK: Partners SSE and Fluor have requested permission to use 120 turbines at their Seagreen Alpha and Bravo sites in the Outer Firth of Forth, having originally planned to use 150. 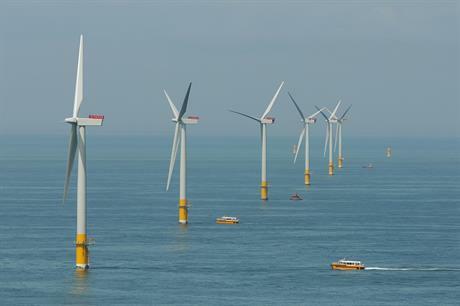 This story was first published on 6 April, when Seagreen Wind Energy requested removal of a capacity limit at the site. It was updated on 21 September when it requested to use fewer turbines at the site. A reduction in the number of turbines would allow for "larger, higher capacity wind turbines than currently consented", Seagreen Wind Energy, the pair’s joint venture (JV), argued. The latest submission to Scottish ministers follows a request to the seabed landlord, Marine Scotland, to remove a 1,050MW capacity limit for the project, which was approved in August. It also requests the option of using monopile foundations. Seagreen had initially been granted permission to use suction buckets or a gravity-base structure. In the most recent submission, Seagreen states that each phase of the project – Alpha and Bravo – would have up to 70 turbines each, but the wind farm as whole would have no more than 120 turbines. Each turbine would have a maximum height of 280 metres. With a planned combined capacity of 1,500MW, the Seagreen projects would use 12.5MW turbines – up from the 7MW enabled by the sites using 150 turbines for a capacity of 1,050MW. The JV had previously argued wind turbine technology has "advanced considerably" since 2014 when consent was first given. It had also revealed it intends to participate in the next UK contracts for difference (CfD) auction in spring 2019. Seagreen had said the auction will be "extremely competitive" and therefore "it is essential that the Seagreen consents maximise the chances of success in the auction by taking advantage of the developments in Wind Turbine Generator (WTG) technology, which have occurred since the applications were made to increasethe maximum generating capacity of the wind farms". The two projects are part of a cluster off the east coast of Scotland that were subject to a lengthy appeal process by the Scottish wing of the Royal Society for the Protection of Birds (RSPB) animal protection charity. The conservation group claimed the projects would adversely affect some migratory bird species and that the Scottish government failed to fully evaluate the impact on wildlife, prior to granting consent in October 2014. In November 2017, the UK’s Supreme Court rejected the last of the RSPB’s appeals.